Prominent & Leading Manufacturer from Mumbai, we offer aqua racing boats, water tricycle, bumper boats, kids boat, two seater pedal boat and banana boat. We are passionately engaged in manufacturing, exporting, trading and supplying an all-encompassing range of Aqua Racing Boats. This is the perfect solution for boating & gives you full pleasure of water. Our offered aqua racing boat is designed by utilizing quality assured material and current technology. Moreover, our presented aqua racing boat is provided in a various dimensions & easily available to our customers at affordable rates. We are acknowledged as one of the most experienced enterprises of this industry, engaged in providing an extensive range of Water Tricycle. This tricycle is pedal & operated by people with their own legs & consists of three wheels. This water tricycle is designed from the quality assured material and cutting edge technology. This given water tricycle is provided with different customization options on customer’s demand. Our patrons can take this water tricycle from us at nominal rates. Supported with enormous industry-experience and understanding, we are involved in offering a comprehensive assortment of Bumper Boats. The offered boat gives you a thrilling experience of riding. 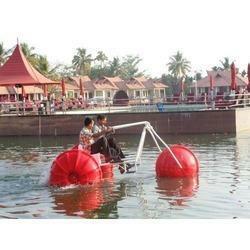 This bumper boat is made with diverse specifications & quality assured material. The offered bumper boat is examined by our quality expert’s team in order to make certain its quality. 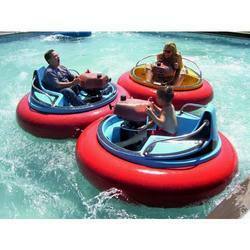 Moreover, we are giving this bumper boat to our customers at affordable price. Backed by a team of extremely accomplished and experienced professionals, we are occupied in offering a wide range of Kids Boat. The offered boat is single seater boat & can be operated by pedal or through battery & also provided with life jacket for the safety of kids. Our competent experts design this kid’s boat by utilizing quality proven components and leading edge technology. Along with that, we are offering these boats to our revered customers at nominal price. 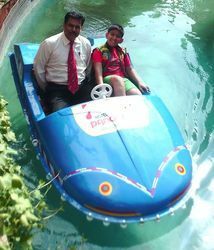 We are engaged in bringing forward a comprehensive assortment of Two Seater Paddle Boat. In this boat you have to pedal by own. We design this pedal boat at our own manufacturing unit under the observation of our experts by utilizing best grade basic material. 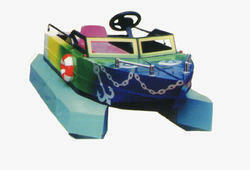 The offered pedal boat is known for its accurate functioning & quality. Apart from this, the given range of pedal boat is provided with different stipulations & customization options at reasonable price. We provide the Fun & Thrilling Inflatable Banana Boat for Water Sports activities. 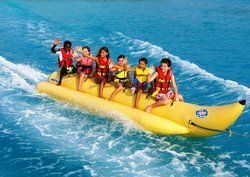 Banana Boat is an extrememly popular water sport activity loved by all age groups. Banana Boat come in 4 to 7 seater options. Banana Boat can be pulled behind a Speed Boat or Jet Ski.